To a lot of people who are more used to seeing posts about local political issues, when these posts pop up in their timeline it probably gets dismissed as a case of Will’s just being insane. I don’t mind that really, I’m sure its good natured and there’s no question that at times I do tend to skew towards the arcane. But here’s my view. I usually can look at a subject for an hour and feel confident enough to put in my two cents. I might be right, might be wrong but hopefully most of the time I’ll at least be in the ballpark. There are numerous books devoted to this. Hundreds of people per day visit Nothing is Real and forums like it. They have thousands of members. Hundreds, probably thousands of blogs and websites are devoted to this. And many of those people don’t believe that Paul died in 1966. But something isn’t right. And that’s why they’re there. Let’s go back to 1966 for a second. In August, there were Beatle record burnings and bonfires over much of the country, DJ’s were encouraging people to get rid of their Beatle materials and were denouncing the band. All because of John Lennon’s More Popular Than Jesus interview that had just been published in the United States. And he wasn’t wrong about anything he said. But they didn’t like it here. So, the Beatles had to apologize for it on August 12th 1966. Eventually, the record burnings stopped and they finished the last few weeks of their US Tour, but not before death threats in Memphis and the scare of a cherry bomb going off on stage during their concert there. By August 29th 1966, the tour was finished and privately the Beatles decided they weren’t going to tour anymore. In reality, even though they were at a creative peak with Revolver having just released, there were empty seats in the stadiums that had been full the year prior. And unquestionably, people had in fact turned on the Beatles that August, DJ’s had turned on them, the media had turned on them. And Bob Dylan had just gotten into a motorcycle accident. In fact, he got into his accident the same day that the Lennon interview had been released in the US. None of this bode well for the future. And there was precedent for this worry. There of course had been the original Rock and Roll of the fifties. But look what happened to it. Elvis went into the Army. Little Richard turned to God. Jerry Lee Lewis married his cousin and that was the end of him. Chuck Berry got caught with an underage girl and that was his demise. Buddy Holly died in a plane crash. Eddie Cochran, a car crash. Largely, the original Rock and Roll died in the late fifties for a bunch of seemingly unrelated reasons, and all of its stars vacated. And it largely stayed that way until the Beatles changed the world and brought it all back even better in 1964. But to any thinking artist in the summer of ’66, it may have come across like the fix had been in during the late 50’s to kill off Rock and Roll and now Dylan was out and the Beatles were having to stave off an angry mob. The reason this all matters is because when people look at Paul is Dead now, or even in the fall of 1969 when this took hold over the whole world briefly, everyone always points back to the fall of 1966 as that mystical time when everything happened. This is when Paul died, this is when the Beatles stopped touring, this is when they grew their mustaches, this is when the sixties largely exploded onto the national consciousness. The fall of 1966 is when all of the mystery started, its when all the clues started. And there’s a giant unseen finger pointing away from More Popular Than Jesus and empty seats and Dylan’s accident and record burnings as if to wipe it all out as being a potential source for anything. If you tell anyone immersed in this that Paul’s supposed death happened right on the heels of More Popular Than Jesus, they will look at you blankly like that never occurred to them. And all of the stories have been designed that way. To wipe out everything that came before the fall of 1966, that everything started there. And just one month earlier, comes off to everyone pursuing Paul is Dead as the Old Testament. Ancient history. BC, or in this case BPID. After all, isn’t that exactly what is on Sgt. Pepper’s cover? Old Beatles, New Beatles. But exactly where they don’t want you to look, is where you need to look. And it took years to figure that out. Paul died on November 9th 1966 per the legend. The prime reason this is known is that when you mirror the Sgt. Pepper drum, you get this. This is some weird, freaky stuff. Who would think to do this in the first place? Even weirder is the history of this clue. It was mentioned on one radio show in mid-November 1969. It went largely unnoticed at the time. Joel Glazier then published the clue in 1979 in his screed that this was all the story of Faust brought to life. But it wasn’t until the internet era that this clue attained widespread attention among Beatle aficionados and today is standard PID101 fare. And yet, without the clue being known about, the November 9th date has been known all along. Fred LaBour published the Paul is Dead story that took off nationally on October 14th 1969. 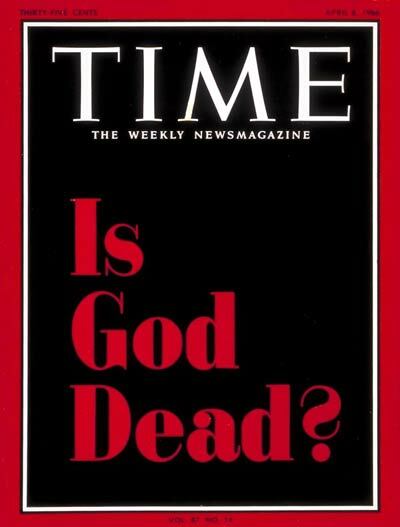 Somehow, he knew to point back towards early November 1966 as the date of death. But no one knows where the November 9th date actually came from, it just somehow did. 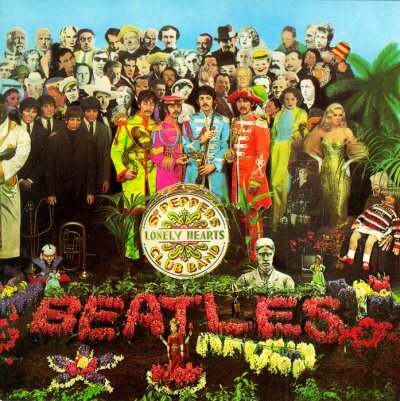 If you don’t know what happened, The Beatles put clues, purportedly showing that Paul had died, into everything they did from Sgt. Pepper onward. There were a few underground rumblings in 1967 and 1968 about the story of Paul is Dead, Rolling Stone reportedly having been approached with the story in 1968, but it didn’t gain any real traction with anyone until the late summer of 1969, and after making Sept. appearances in the Drake Times-Delphic and the Northern Illinois student newspapers it really took hold right here in Michigan; first Larry Monroe and then Russ Gibb having gotten calls about it on their radio shows. Russ Gibb got his call from a guy named Tom on October 12th 1969 and laughed it off until Tom convinced him to turn Revolution Number 9 around and play it backwards. What Russ Gibb heard when he did freaked out everyone listening and freaked out Russ Gibb and is why a reversed video largely comprised of gibberish has over 2 million views on YouTube today. Because Number 9 becomes Turn Me On Dead Man. And because 2 years earlier, in about the most seductive moment in Rock history then or since, it was The Beatles who sang I’d Love to Turn You On, it completely blew everyone’s minds and within days this rumor had become a full blown phenomenon worldwide. 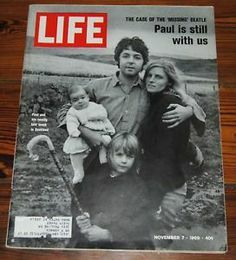 The antidote for this condition was to put Paul and his family on the Cover of Life Magazine on November 7th 1969; somehow this “Paul” being alive convinced most people that he was fine, even though it was the same Paul who had been doing everything with the Beatles for the last 3 years, which may make even less sense than the rumor itself did. So then the world moved on, The Beatles broke up and had very successful solo careers and Paul is Dead took its place alongside the Moon Hoax and JFK conspiracy as one of the most entertaining Urban Legends of all time. The Beatles themselves called it rubbish. And the most clever band of all time said nothing else. Rubbish. But a small subset of the population didn’t let it go. Something wasn’t right about all of this, you don’t have to believe Paul died to know the clues are really there. Why are they there? Throughout those days and for years afterwards, artists wrote lyrics that seemed to allude to something. And generally speaking that something seemed to involve The Beatles. And that something didn’t seem to be a joke, or a hoax, or something to laugh off. It seemed to be about something legitimate. Don McLean built an entire song around this, one of the most famous of all time, called American Pie. The Marching Band refused to yield, do you recall what was revealed? Terry Knight had one of the first Paul is Dead songs in Saint Paul, even though the lyrics have nothing to do with Paul being dead and is the one and only non-Beatles song published by MacLen music, even though he had no history with the group besides a single meeting with them. Did Judas speak to you or did you put the whole world on? Its taken you too long to change the world. While you and Sgt. Pepper saw the writing on the wall. Paul put a Ram on a solo LP. John then put a Pig on his next album. Here’s another clue for you all, the Walrus was Paul. I was the Walrus but now I’m just John, the dream is over. And not one word of that was ever explained by anyone. And it isn’t because no one asked. Does this sound like a hoax? A joke? Rubbish? Or does it sound like they’re talking quite seriously about something but we don’t know what that something is? Because it certainly isn’t about Paul dying. Lets fast forward to today, the internet age. Heather Mills was married to Paul, said she had a box of evidence, that there was such a fear of the truth coming out. Does it seem at this point like this is something serious enough that people are actually in fear for their lives if this were to come out? Neil Aspinall was part of the Beatles inner circle from the very beginning, he was actually a roadie for the band in Liverpool before they made it big. He started a company called IAMaphoney in 1990 to set the record straight about all of the Beatles stories. You know, in addition to running the Beatles label Apple for years. In the 2000’s he also became a mysterious internet poster named Apollo C Vermouth, who joined two of the most popular Beatles Mystery forums and gave cryptic clues to try and bring members back on track about what the mystery really was. He told people to simplify. That Sgt. Pepper was the key to all of this. That the answer was really right in front of everyone’s face. There were flowers in the dirt. Before Aspinall got cancer and died on March 24th 2008, a mysterious foreigner showed up who coincidentally also went by the name IAMaphoney. He started making videos about the Paul is Dead mystery, but the vast majority of the series, done in 2006-2012 had not much to do with Paul having died and a whole lot to do with some sort of vast mystery involving Paul and the rest of the group. It was one of the most popular channels of the early days of YouTube, but when Neil got sick in 2008, it seemed as if IAMaphoney’s series kind of went off the rails. His 2012 date to show the Revelation to the world came and went, the series concluding on November 9th 2012, without any revelation having ever been displayed. The rumor was that after Neil Aspinall died, the IAMaphoney team became part of Paul McCartney’s own MPL firm, which of course would then preclude any secret relating to the Beatles ever actually seeing the light. Redwel Trabant established that fairly clearly (and the part about organize Paul’s secret certainly seems to imply that there’s a, you know, secret), because there are plenty of people out there dead serious about trying to solve all of this. Suffice to say, there’s something quite serious that seems to be hidden from view. Its not a game, its something serious enough that rather important people are afraid to talk about it, and would take it to their graves without ever revealing the answer. That’s why people are still pursuing this. …lay the answer to it all. And I knew I had it. I stepped outside to have an e-cig, my hands were shaking, and as I stood there I was on the top of the mountain. An answer people had been searching for, for 48 years. The answer is this. And as I stood there, drinking in the victory, I laughed out loud. No one is going to believe this, no one is going to accept the conclusion, no one is going to acknowledge that this is the answer. Now I’ve been posting this for 3 years, but the evidence was more scant. I had a pretty good idea that I had it, but I didn’t know it for sure. Now I do. And if you think about it, it makes perfect sense. Some people think the Beatles are evil, satanic. I don’t really believe that, I think you have to go back to the conditions in the Southern US in the summer of 1966 and realize that the kids burning Beatles records were largely sitting in Church on Sunday. They didn’t want someone to point out that The Beatles had become more popular than Jesus, even though they probably had. They also didn’t want anyone to point out that their football teams were still All-White. The Beatles weren’t about to view these kids as having been on the side of righteousness, because they still were significantly flawed and tied into their rules. And coming off their apology, and ending their tour in 1966, can you really see a John Lennon, or any Beatle for that matter, just letting that go? Our careers and even our lives were at stake here and yet you still have no black football players? No way in hell, would they just let that go. But publicly its exactly what they did. And its exactly when all the mystery started. The November 9th 1966 date of Paul’s death obscured the November 9th 1965 God is Dead obituary. The ATL in Beatles, signifying Atlanta, was hidden in plain sight; even though there was a doll pointing at those letters. God is Dead. The Ubermensch of Nietzsche. Do What Thou Wilt, Sgt. Pepper luminary Aleister Crowley’s philosophy. Do what you want, that’s what the Beatles were all about. No, this was about freedom. About all of the ideals of the sixties. Now, doesn’t that seem like why the Walrus would be somewhat important? After all, in The Walrus and The Carpenter, The Walrus called all of the young oysters out of the ocean. And then, ate them all. Sgt. 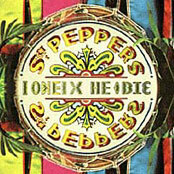 Pepper showed up on June 1st 1967 and blew away everyone. It was the trumpet blast to the Summer of Love, She’s Leaving Home, Lucy in the Sky with Diamonds, I’d Love to Turn You On, drug references abound, timed perfectly with the end of school in 1967 and kids from all over the country got out of school, left home, went to San Francisco and Turned On. I’m not a Christian and it’s probably better that I’m not, because I’m not even against what the Beatles did here but its blatantly obvious why The Walrus mattered. Because no matter how much of this they themselves caused in retrospect, they clearly saw themselves as the Pipers and it certainly worked out that way in no small part. And no one burned any records to protest it, did they? The world had changed. The Beatles had changed it. Maybe they just don’t want you to know that was their goal. This may never wind up on the news, I’ve been working on a book about all of this for years and maybe that’s what it is going to take, but I think its important that this is written down somewhere today. very very nice!! Great Info!